This is a super easy and very VERY tasty recipe! 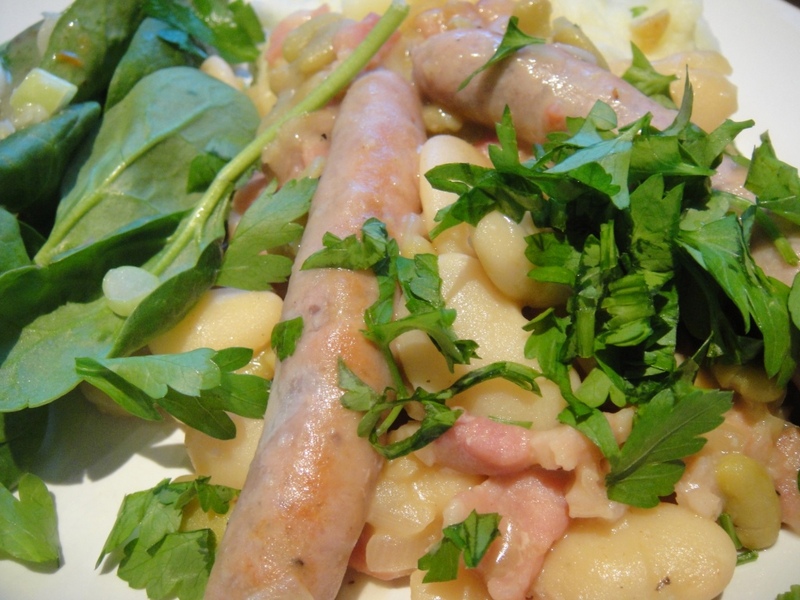 If you are one of those people who always have a few tins of beans in your larder, this recipe will be right up your alley. Brown sausages and put aside. Fry the bacon in the same pan and add the onion and garlic. Saute. Add the sausages, beans, white wine and chicken stock. Simmer for about 20 minutes or until sausages are completely cooked. Serve and garnish with chopped parsley.